Andrea McKenzie sits among some of her work. Four years ago when Andrea McKenzie lost her job she was distraught and in tears. But looking back, she is thankful because her firing led to her pursuing her passion for art and becoming a full time artist with clients in the United States (US) and Europe. 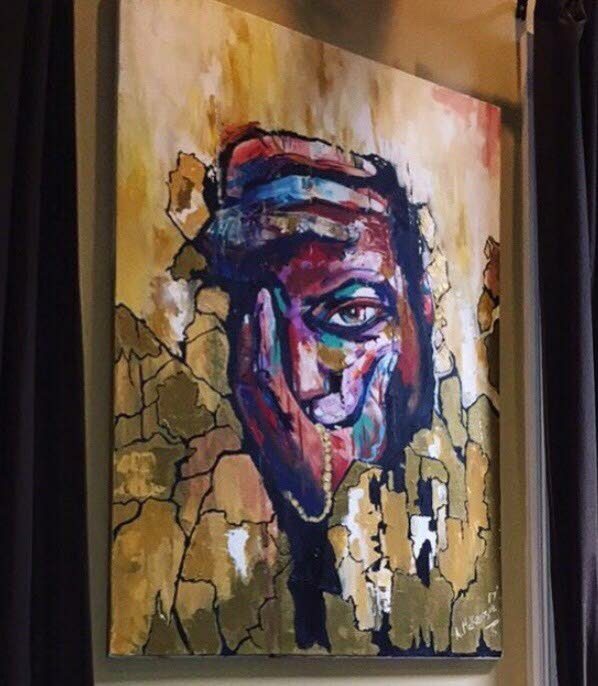 The US-based artist is back home Trinidad after spending time in Washington DC. She is currently putting things in place to go to Los Angeles and plans to feature her work in shows and art fairs in Beverly Hills. As a full time artist, McKenzie does commissioned pieces where people contact her via email or on her website and let her know what they want, whether it is for their homes or businesses. She recently completed two pieces for a mansion in Atlanta. The piece Purity by Andrea McKenzie. Description: "Darling, your love is way too deep for someone to only swim halfway for you." Her clients send her their measurements and let her know what they want and together come up with a concept. Some clients have specific colours in mind and others allow her to do what she wants; McKenzie prefers the latter. Her preference is bright, vibrant colours as she likes to “pop walls” and use colour to brighten spaces. But she is versatile and can also work in black and white. McKenzie, who is in her 30s, explained she is good at using colours people would never think of for a particular area. Her style is a mix of abstract and impressionist. 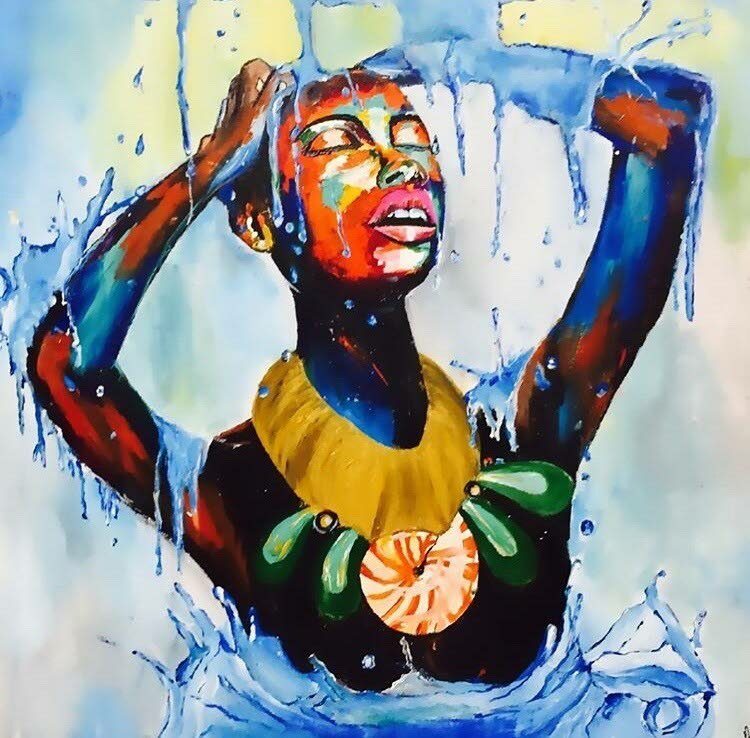 One of her favourite pieces is Purity, which shows a woman bathing, her eyes closed, and the colour of her skin, the water and her gold neck piece are all vivid and bold. McKenzie sells all of her work and even in her free time paints pieces for sale. Depending on the time of year, like Christmas, she would receive a rush of commissions. She had one piece her mother really liked but someone made an offer and she said, “Sorry mom.” She did promise to do another piece for her. US-based Trini artist Andrea McKenzie. But she received a shock when she was bypassed for a position and was out of the company. McKenzie always wanted to be an artist but doubted she would be able to make money, but being let go from her job pushed her to where she is today. Her grandmother was an artist and although McKenzie did art in form five she is basically self-taught. She has been painting since age 13, especially when she felt down. After she was fired, her father saw some of her work and thought it was really good and came up with the idea to stage an exhibition. McKenzie, however, was not sure how she would be received among other artists who had been working for years. 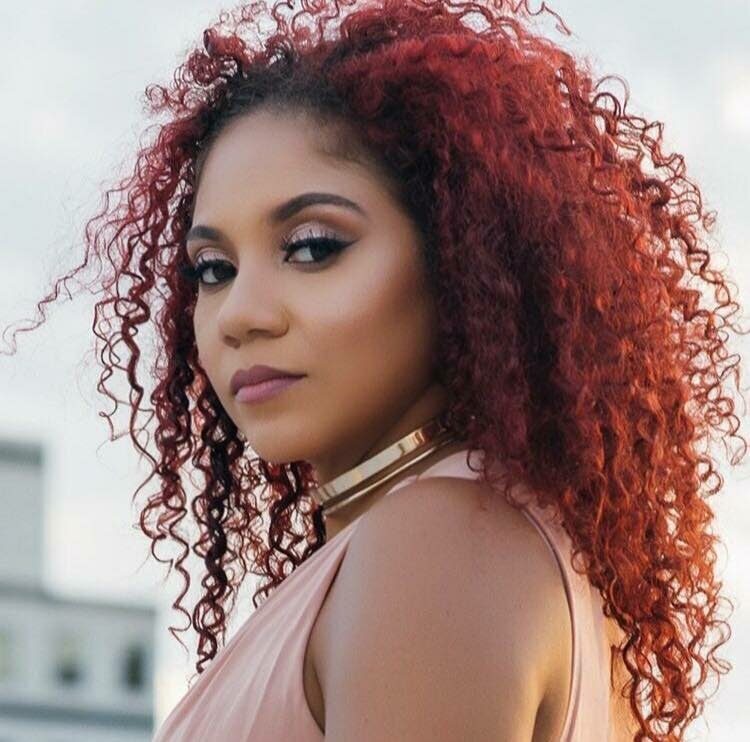 Her first collection, Pieces of Me, was held in Trinidad in 2013 and featured 25 pieces about her and life experiences, including first love and first disappointment. It was well received as about three quarter of her pieces were sold and she was shocked by the response. After that McKenzie started to develop as an artist and began travelling, meeting different people and artists, working on her craft and she got better and better. She wanted to be known internationally because this country is too small for her goals. McKenzie had an exhibition in New York and went to different states in the US and networked. She eventually developed a clientèle from countries such as the US, Sweden, England, Scotland and a couple from TT. She found it remarkable she could reach these clients from just marketing herself on social media. She pointed out that social media is free advertising and recommended artists embrace its use. She receives positive messages about people who love her art and this keeps her going, even on a bad day. For the few negative messages, she said one has to have a strong mindset and believe in oneself. Her family and friends have been supportive and have been amazed by her development as an artist. 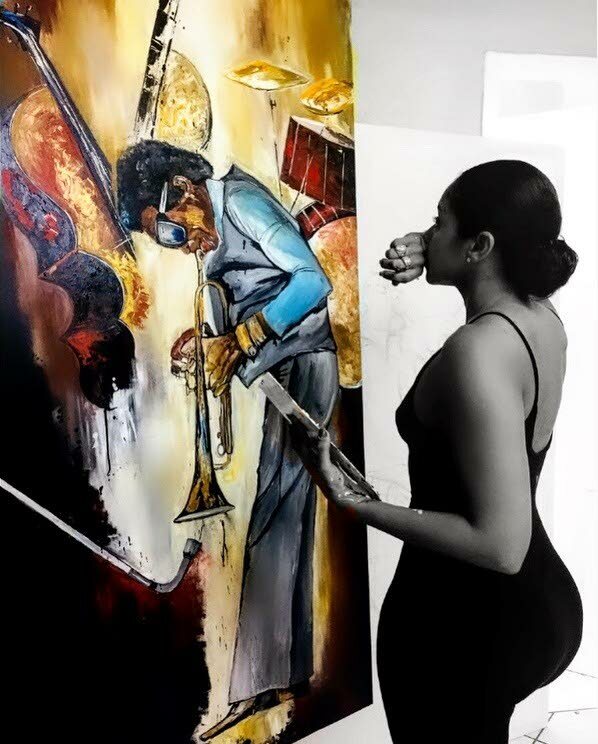 Andrea McKenzie looks at her work, a commission piece of iconic American jazz trumpeter Miles Davis. Depending on the size and detail of a piece, McKenzie would take a couple of days to two weeks, and sometimes she would lock away with her music and work around the clock. Her friends know if she is missing for a few days she is painting. She does about 75 to 100 pieces a year, working primarily with acrylic on canvas or wood board. She has also done murals using spray paint. McKenzie does not know any full time artists locally but she met many successful artists abroad. From them, she learned what to and what not to do and one of the most important lessons is to always value your art, to get up and get and not wait for success. As an artist it is important to be able to talk to clients and sell your work. 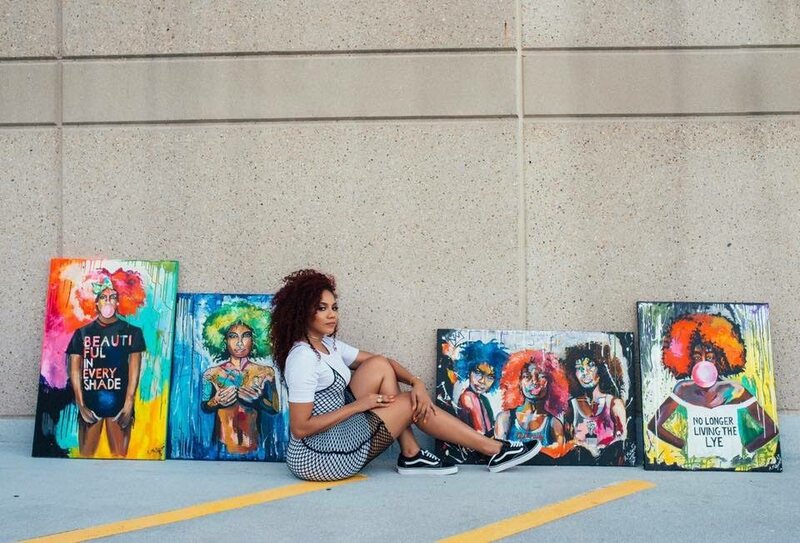 Her dream is to have her pieces featured in the set decoration of successful television shows and box office movies and showcased all over the world. 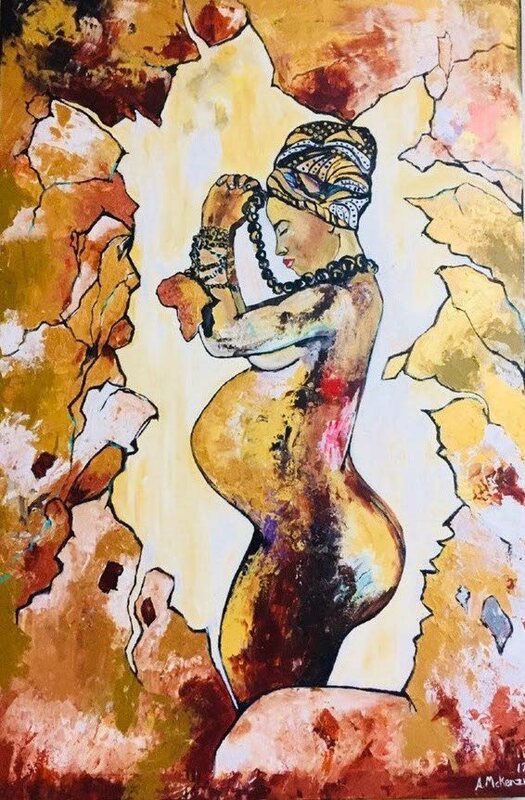 MOTHER: The piece Nurturer by artist Andrea McKenzie. Description: "A woman is the full circle. McKenzie encouraged artists to broaden their horizons and to travel and meet people from different cultures. She loves her country but said to reach different heights she had to put herself out there. Reflecting on her decision, McKenzie has no regrets and thanked her ex-boss for firing her. To see more of McKenzie’s work visit her website www.annieunique.com, on Instragram @dredredoll and her art page on Facebook Andrea’s Unique Art. Reply to "The Art of Andrea"